Profession: high school graduate at the Sauyo High School. 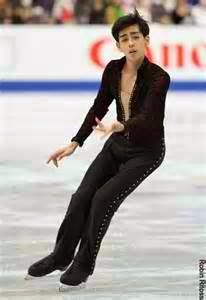 Michael Christian Martinez began skating in 2005 at SM Southmall ice rink. And from then on he developed his skills or his talent and joined or competed internationally which the most recent was 2013 World Junior Championships where he won fifth and two more senior international medals. Watch out soon for Michael Christian Martinez figure skating video as he showcase his talent in the 2014 Winter Olympics.